Paint Roller Covers from Rubberset, Merit Pro, Bestt Liebco & More. 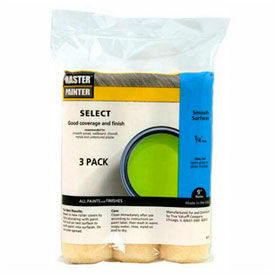 Paint Kits Are Used For All Residential And Commercial Painting Applications. 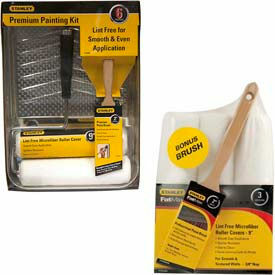 Paint Kits include microfiber rollers to provide lint free results. Optimum performance with low VOC and paint and primer in one. Available in a variety of sizes, NAP, and package quantities. Roller Frames Are Lightweight And Easy To Handle For General Purpose Painting Applications. 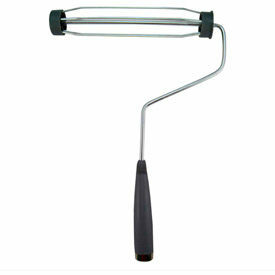 Roller Frames are made with durable metals for long lasting use and dependability. Frames can be used with a variety of paint covers. Multiple frame sizes provide easy maintenance for touch-up and large-scale painting. Roller covers available with some models. Available styles, sizes, and package quantities vary per model. Paint Trays Are Used For Painitng And Construction Applications. 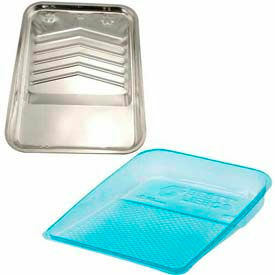 Paint Trays and liners are made of heavy-gauge plated metal or plastic with ribbed bottom for long lasting durability. Models can hold up to 1 gallon of paint. Color finish and sizes vary by model. Painter Roller Covers Provide Smooth Uniform Finish To Exterior And Interior Surfaces. Master Painter Roller Covers are made of knit or woven fibers to provide superior paint absorption for improved efficiency and productivity. Roller covers provide effective coverage with both latex and oil based paints. Variety of types available including Rough, Semi Rough, Extra Rough, Semi Smooth and Smooth to paint textured walls, smooth surfaces, outdoor decks and more. Nap thicknesses are 1/4 inch, 3/8 inch, 1/2 inch, 3/4 inch, 1 inch and 1-1/4 inch. Sizes are 3 inch, 4 inch, 7 inch, 9 inch and 18 inch. Some paint rollers sold in package quantities for cost savings.